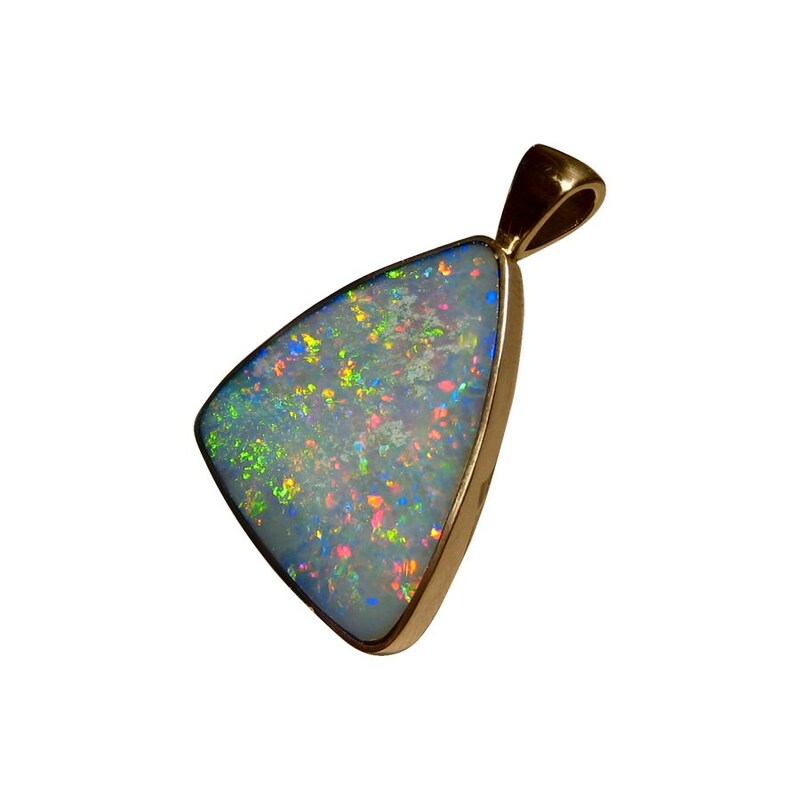 A big triangle Opal pendant in 14k Yellow Gold showing a colorful and lively display. In stock and ready to ship. 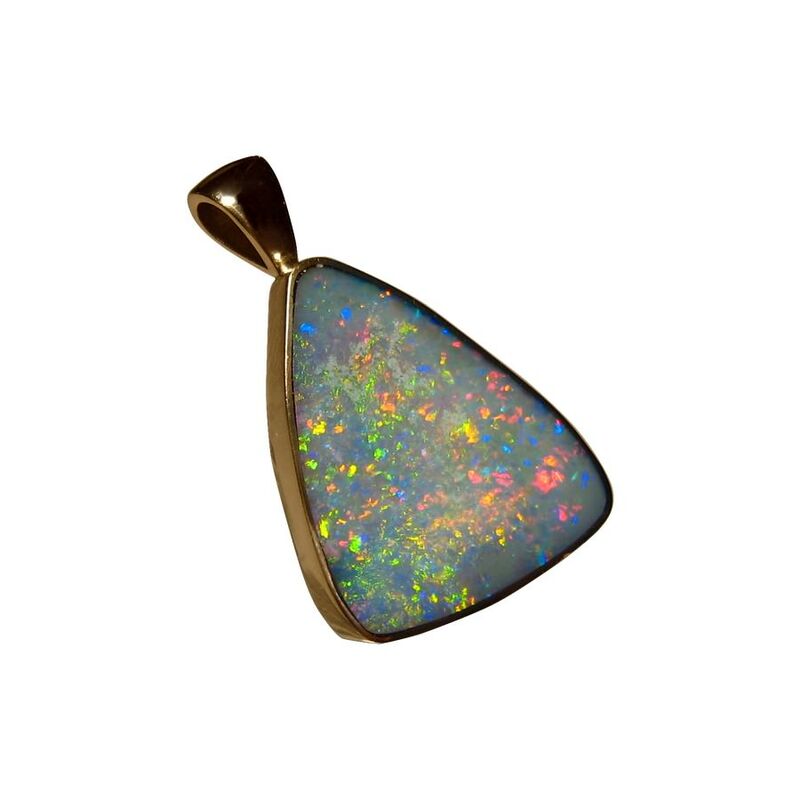 This pendant is made in 14k Yellow Gold in a triangular shape and is inlaid with a Lightning Ridge Black Crystal Opal that is colorful and lively. 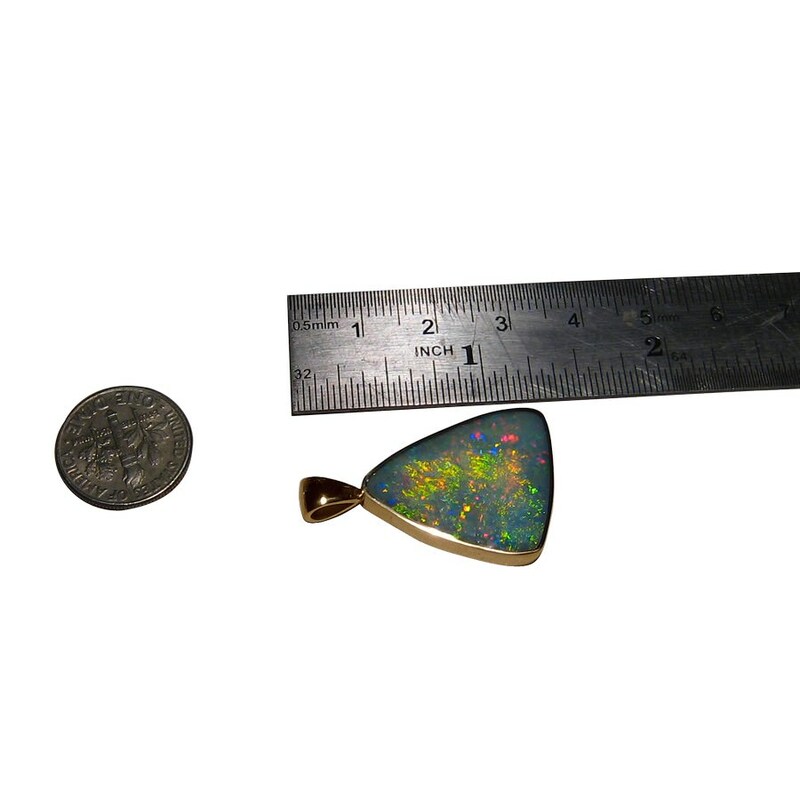 The Opal weighs over 7 carats with the pendant measuring 1.25 inches long and the video below will show the play of color in the Opal as well as the high shine of Yellow Gold the photos do not show. 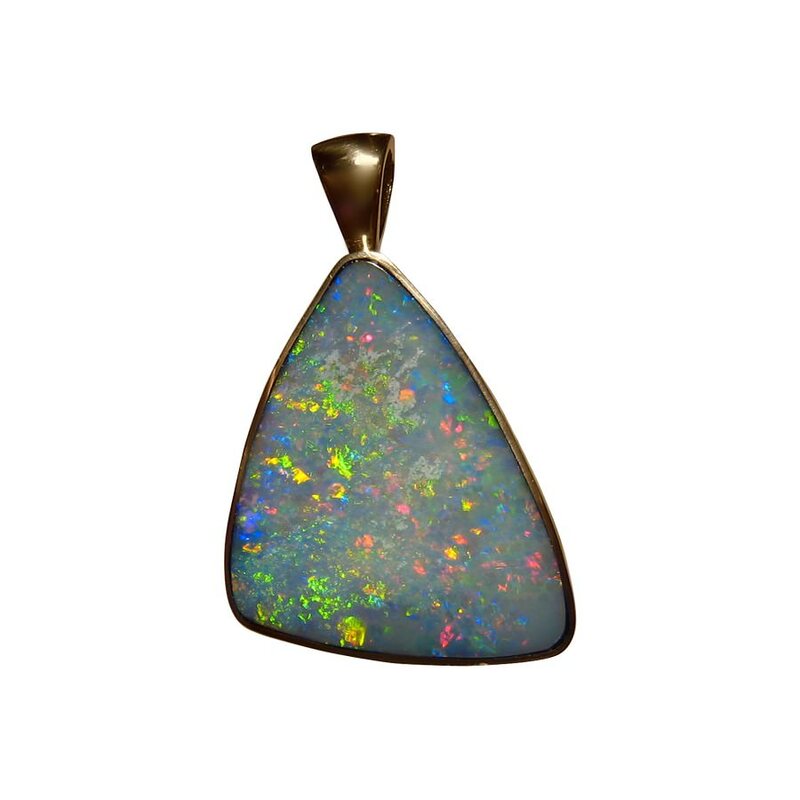 A large and pretty Opal pendant that is ready to ship now but does not include a chain.